James Klebba is the Victor H. Schiro Distinguished Professor of Law at Loyola University New Orleans. He has held this endowed professorship since 1993 and has previously served as Dean and Associate Dean for Academic Affairs. He served as a Fulbright Scholar at the University of Belgrade Faculty of Law during the Fall semester of 2004, and for a number of years was the director of Loyola's Eastern Europe Summer Program in Russia and Hungary. He teaches in the areas of civil procedure, evidence, federal courts and comparative judicial systems. 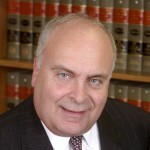 Professor Klebba graduated from Harvard Law School in 1967 and worked with the Minneapolis firm of Dorsey and Whitney, turning to a career of teaching in 1973. He is a former Chair of the Section on Civil Procedure of the Association of American Law Schools and is a former member of the Curriculum and Research Committee of the AALS. He is a member of the Code of Civil Procedure Committee of the Louisiana State Law Institute. He is a co-author of Evidence Cases and Problems (with Bracy, Raitt, Bodensteiner and Fremon 1995).